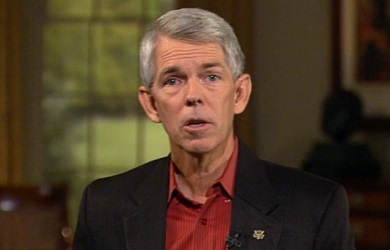 Despite the fact that the Religious Right still loves him, there can be no doubt that David Barton’s reputation has suffered in recent years due, in large part, to the efforts of many Christian historians and professors who have worked diligently to debunk his pseudo-history. 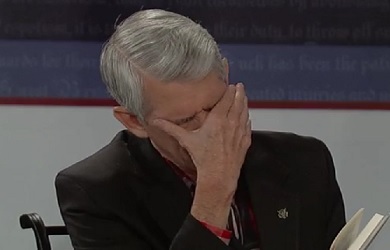 Barton, of course, doesn’t see it that way, as he explained to a conference last year when he declared that the real reason all these professors were attacking him is because they are hostile to any teaching about God. Asserting that the true purpose of history is to chronicle the way in which God has carried out his plans through humanity, Barton said that professors at Christian universities had been trained in secularism by their professors and were now intent on indoctrinating their own Christian students with that same agenda. What’s been interesting is that in the last twenty to thirty years, you’ve also had lots of Christians join in and say ‘hey, you can’t teach this kind of stuff.’ Now why in the world would Christians join with all these other groups to say you shouldn’t be teaching providential history? Why would Christians join in to say you gotta keep history secular? And the answer is probably found a great passage that Jesus gave us in Luke 6:40 where he says ‘every student, when he is fully trained, will be like his teacher.’ What happens is you’ve got a whole lot of [professors] at Christian schools that were trained by really secular guys and every student when he’s fully trained will be like his teacher. And so what happens is all these guys go through and get their PhDs but they’ve been trained by really secular-minded, higher criticism type guys and when they get there, they just communicate on to these Christian kids, or whatever kind of kids they’ve got, whatever they’ve been taught. That’s why today if you do something like try to put God in history, you’re going to get nailed. 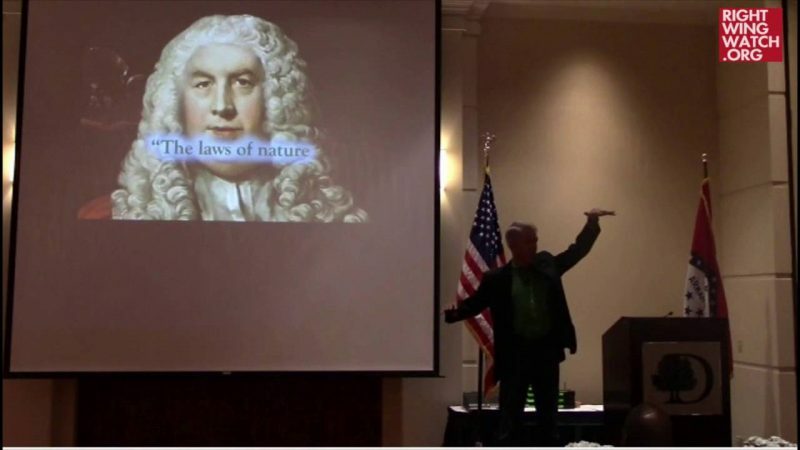 A book that we did, “The Jefferson Lies,” made all sorts of national news because all these professors came out [and said] Jefferson didn’t believe in God, he wasn’t religious, he was a great atheist. I mean, they just went bonkers when we went back through and showed all the things Jefferson did … but man if you try to get God back into the position that we ha him in history for three hundred years, it just drives these PhDs nuts. Now there are some good PhDs, there are some good professors out there, great guys, but by and large that profession as a whole is now the most hostile to God things as any profession in the nation.